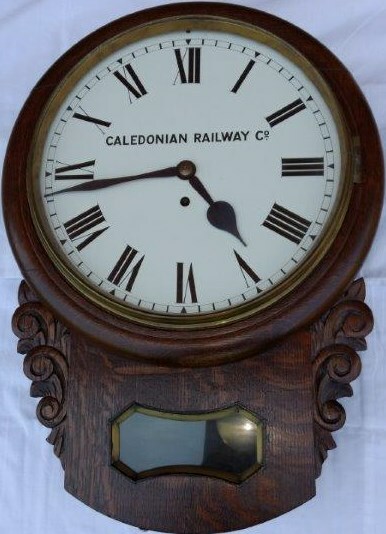 Lot 85 CALEDONIAN RAILWAY 12" Drop Case Clock. With a fully serviced chain driven fusee movement. The Oak case has a four piece turned surround and is fitted with a brass bezel. The back box has one side door and one lower door and is complete with pendulum and winding key. Full Working Order. A Fine Looking Clock!!! !